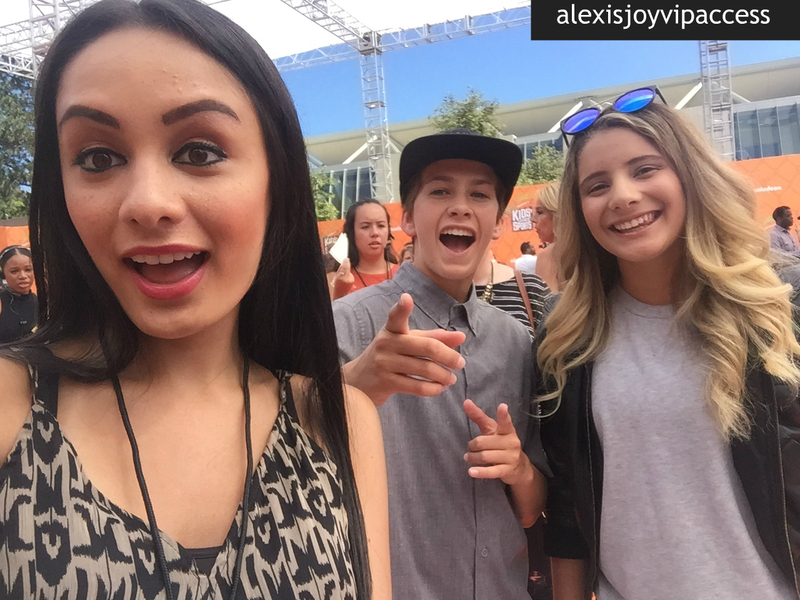 VIPAccessEXCLUSIVE: Jagger Eaton And Alana Smith Interview With Alexisjoyvipaccess At The 2016 Nickelodeon Kids’ Choice Sports! What were you doing at 11-years-old? For the phenomenal Jagger Eaton, he was taking on the skateboarding ramps at no better place than the epic X Games, where he established himself as the youngest athlete to ever compete in the X Games. Talk about a magnificent accomplishment! Without a doubt, Jagger Eaton will be the next Tony Hawk, and his talent is truly indescribable. Now, Jagger Eaton is teaming up with the outstanding Nickelodeon for one incredibly exciting show titled, Jagger Eaton’s Mega Life. The adrenaline-packed show stars Jagger Eaton and Alana Smith, an amazing skateboarder herself who even became the youngest medalist at the X Games after her silver win in Barcelona 2013.The show focuses on the two remarkable skateboarders as they travel around the world and they attempt to do what certain people do at their level. Will Jagger and Alana get to play football on a professional level or try out some other excellent sports? We will just have to find out by tuning in to the excellent and interesting show! Jagger Eaton and Alana Smith are both so inspiring and admirable as they have worked endlessly to follow after their dreams and accomplish such sensational things in their athletic careers. I, Alexisjoyvipaccess had the greatest honor of covering and attending the renowned and prestigious 2016 Nickelodeon Kids’ Choice Sports again, celebrating everyone’s favorite iconic sports stars and sports moments; and I had a terrific time interviewing Jagger Eaton and Alana Smith at the event. Jagger Eaton and Alana Smith dished exclusively to Alexisjoyvipaccess all about their upcoming, highly-anticipated show, what is one sport that they haven’t tried yet but would like to try, and so much more only in our VIPAccessEXCLUSIVE interview. Jagger Eaton and Alana Smith even send out an excellent message to all of their fans – hear what they had to say in our VIPAccessEXCLUSIVE interview below! Thanks for the fun interview, Jagger and Alana! Check out my VIPAccessEXCLUSIVE interview with the awesome Jagger Eaton and Alana Smith at the 2016 Nickelodeon Kids’ Choice Sports below! Follow @NickelodeonTV on Twitter and join in on the conversation by using #KidsChoiceSports! Previous VIPAccessEXCLUSIVE: Jet Jurgensmeyer Updated Interview With Alexisjoyvipaccess At The 2016 Nickelodeon Kids’ Choice Sports! Next VIPAccessEXCLUSIVE: The Phenomenal Isabela Moner Updated Interview With Alexisjoyvipaccess At The 2016 Nickelodeon Kids’ Choice Sports!